Adult Onesies – arts, ink. Last week was Thanksgiving break, which means that most students have brought their winter wardrobe back to school with them. They replaced all of their tank tops with sweaters. A big part of a winter wardrobe is layers of warm clothing, and the past few years have created a new trend; adult onesies. Onesies are most popular for babies, and then for pajamas for young children. They are nice because it is just one piece of clothing that is nice and warm. Recently a trend has risen for adult onesies, and not pajamas but for costumes and to wear to events. Adult onesies are great because you can layer clothes under them depending on how cold it it outside and it doesn’t ruin the outfit because onesies are meant to be big. Different styles of onesies are popular. Animal onesies are the most popular. Most are unisex and you can now buy at Walmart or Kohls. Some of the most popular adult animal onesies are giraffes, penguins, and pandas. Another big trend is characters. Instead of buying a several piece costume to look like a character, you can just buy a onesie that already has the characters costume printed on it. 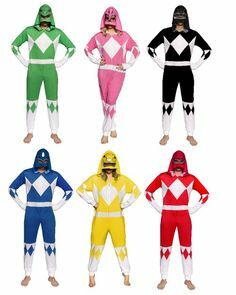 Onesies also do not require a mask no matter what character you are being because the hood is your mask. An example of this would be Darth Vader or the Power Rangers. Another style of onesies is professions. You can be an astronaut or a nurse as a onesie instead of as a costume. This style is less popular than the others, I think it is because it is easy enough, and more realistic, to find clothes of the actual profession than to wear pajamas that resemble them. With fun costume onesies rising in popularity, normal adult pajama onesies have also increased in popularity. Now at big and popular stores like Victoria’s Secret or L.L.Bean, or even the Mden have pajama onesies that people can buy. My friend and I took advantage of all of the benefits from wearing onesies and we were the yellow and blue Power Rangers to the last Michigan home football game. It was perfect because we could layer under the onesies with warm clothing that did not have to be Michigan related and we were still supporting the team!